Bass anglers may wonder why the Sunshine State supports some of the best bass fishing in the world. Florida’s abundant lakes and rivers provide habitat necessary to produce good fisheries and the Florida largemouth bass possesses unique genetics that favors rapid growth to trophy size. Harvest management through fishing rules and regulations also play a role, and the Florida Fish and Wildlife Conservation Commission (FWC) is currently considering sweeping changes to streamline bass regulations and make them more effective. The history of Florida’s bass regulations is quite interesting. The first freshwater fishing regulation in Florida passed in 1855, only 10 years after statehood and 58 years before the first game commission. The law prohibited use of haul seines to harvest largemouth bass. In 1913 the first game commission, which existed only two years, set bag limits, instituted minimum size regulations for bass, closed spawning seasons to fishing and banned most fishing nets. Those rules seemed intuitively to be positive, proactive conservation measures but black bass regulations have evolved over the last century as scientists learn more about the species, their habitat requirements, population dynamics and angling impacts. Prior to establishment of the Game and Fresh Water Fish Commission (GFC) in 1943 as a constitutional agency, counties or various interim state game commissions regulated bass fishing based on local opinion and traditional approaches of other states. The GFC started hiring fisheries biologists in 1946 who determined that previous regulations had little impact in most Florida waters. They recommended liberalized regulations following the prevalent ‘Maximum Sustained Yield’ model. In 1990 biologists and the outdoor media became concerned that Florida’s bass fishery was not sustainable under increasing fishing pressure and environmental impacts. As a result, the GFC adopted an ‘Optimal Sustained Use’ approach to frame new statewide regulations in 1992. While many biologists favored increased protection of quality-sized bass, they recommended minimum size limits as most anglers supported protection of smaller bass. From 1992 until the present, biologists modeled, implemented and studied a variety of sophisticated regulations in specific water bodies or zones within the state. Evaluation of the results of these studies included field sampling and creel studies that determined not only how fish populations were affected but also the impact on fishing participation and success. The FWC, which succeeded the GFC in 1999, has been a leader in researching better ways to manage harvest not only with hands-on experimentation but also by monitoring successes and failures of bass regulations in other states and carefully evaluating the causes. Integrating social science with biological research allows the FWC to develop regulations that are justified biologically while accommodating angler opinions, attitudes and behaviors. Consequently, the FWC Commissioners favorably reviewed draft black bass management rules on June 25 at a public meeting in Sarasota. Staff will continue to discuss the draft rules with the public and the Commission will consider the rules for final approval in February 2016. Once approved, new rules will go into effect on July 1, 2016. The intent is to simplify rules ­- allow anglers to keep smaller, more abundant largemouth bass and increase abundance of larger bass statewide by changing length limits for black bass species and eliminating many specific rules for different water bodies. Anglers are practicing catch-and-release at record levels. While reduced harvest of large bass is beneficial, culling bass under 16 inches may improve some fisheries by reducing competition among bass so individuals grow faster and larger. The proposal would allow additional harvest of younger, small healthy bass that are very abundant and steadily replaced by nature, by the relatively few anglers who consistently harvest bass. Meanwhile, anglers who are targeting larger bass for the experience and who often release them should soon see more bass longer than 16 inches, as those fish will be recycled more than ever before. 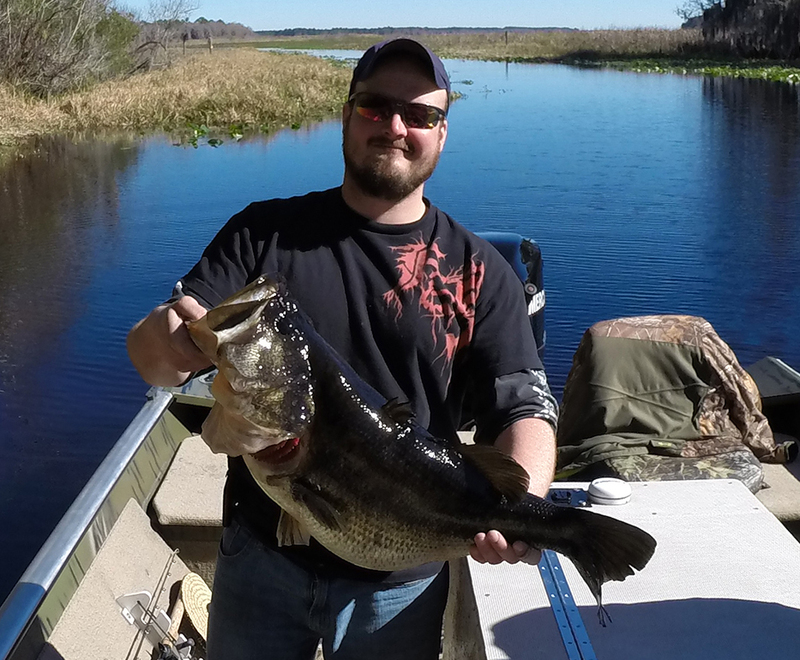 In Florida, black bass species include largemouth, spotted, shoal, Suwannee and Choctaw bass. The largemouth bass is found statewide and is known worldwide for reaching trophy size, whereas the other four species are smaller and, within Florida, are found only in the panhandle area (see MyFWC.com/Fishing for details). Specifically, the proposal would eliminate the three zones that currently regulate bass harvest along with 42 special regulations for largemouth bass. This simplification in the rules was one of the key features sought after by anglers and resource managers. Under the proposal, anglers could still keep up to five black bass (all species combined) of any size, but only one bass 16 inches or longer in total length could be kept per angler per day. For Suwannee, shoal, Choctaw and spotted basses, the current 12-inch minimum size limit would be maintained, although there would be no minimum length limit on largemouth bass. In addition, the proposed changes include a catch-and-release-only zone for shoal bass in the Chipola River. The current bass tournament permit program would continue to allow anglers participating in permitted tournaments temporary possession of five bass of any size. This program has been in place for over 20 years and allows delayed-release bass tournaments to take place, and requires proper care, handling and release of all bass caught during the tournament. “This new approach is very innovative, and I anticipate that many states will follow suit,” said Dr. Michael Allen, professor of freshwater fisheries ecology with the University of Florida. Other speakers included: Eamon Bolten, Florida B.A.S.S. Conservation Director; Adrian “Lunker Louie” Echols, a well-known 13-year-old ‘Elite Angler’ with a bunch of TrophyCatch entries to his credit; Don Hatcher, a fishing guide on Lake Istokpoga for the past 32 years; and Jeff Miller, owner of Millers Boating Center in Ocala. Each of these speakers complimented the FWC on listening to anglers’ input and supported the proposed changes. The commissioners approved the draft to move forward and will take formal action in February 2016 at which time the rule could be approved for implementation on July 1, 2016. They complimented Champeau and his team of biologists, represented by Allen Martin and Bill Pouder at the meeting, and thanked them for leading the way in incorporating a mix of science-informed decision making with a common sense approach to refining management practices that deliver what the public wants from their bass fisheries. Details of the proposed rule changes and public input can still be provided via two surveys at MyFWC.com/BassSurvey.